Immerse yourself in the Italian language! 20 hours of instruction. Intensive review of Beginning Italian (A1 level). 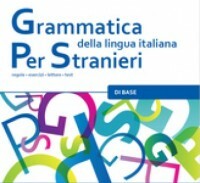 This course allows students to practice the following elements of Italian grammar that they have already learned: present tense of regular, irregular, modal and reflexive verbs; “passato prossimo; impersonal verb constructions; agreement noun+adjective; personal pronouns (subject and object); possessive and demonstrative adjectives.This course will offer students the opportunity to strengthen their understanding of the Italian language and to improve their listening and reading skills, while gaining self-confidence in conversation and expanding their basic vocabulary.